Ok...so I ordered the ubuntu flavor of x51 back at the very beginning of April with an estimated ship date of about 2 weeks. I wasn't thrilled with having to wait, but I sucked it up. A few days before it should have shipped I was told about another delay of a week. Again, I sucked it up. We tried to call you to inform about some system not booting into Ubunto. We want to confirm if your new system is working properly, otherwise, provide you with the following steps to have it working fast and easily. Out of the Box Alienware X51 not booting into the Operating System, a message appears about GNU GRUB version. Sure enough, Monday comes I take delivery and no boot up. There were instructions on how to download the distro, burn to DVD and installing the OS. I didn't have a dvd burner available, but I found an ISO to USB utility, made a bootable usb using the dell install iso and was able to make the computer work. After much googling (I am new to Linux) and fussing I managed to get the video driver installed. It seems to be working ok, however I have to say I am pretty gosh darned pissed that I had to go through this. It is pretty obvious I am not the only person who this happened to. How else would I have gotten an email BEFORE I got my computer telling me it might not work? Also, while the email gave me a link to the OS install there were no instructions or links on driver or possible software(?) that may also have been installed. I tried calling TechSupport but apparently the group responsible for the Ubuntu version are not there on Monday. I can't spend my entire work day on the phone either...and as I have no email for them, links, chat, I am coming here. I am curious if anybody else had this problem. I am fairly tech savy, but I paid to have someone make me a computer AND install the new OS. If I wanted the hands-on experience I could have done that myself. Long story short--anybody have links for drivers or software? I don't know what might have been included, but I know the windows flavor or x51 you can control the led lighting and such, not sure if that is available for the ubuntu version. I apologize for the inconvenience, I understand the frustration. The link with the download provided in that e-mail came with all the drivers, you don't have to worry about installing any of them. The program that controls the LED lighting is called the command center, and it's currently not available for Ubuntu. If there's anything else I can do to help, send me a private message and I'll be happy to assist you. Same problem here. Same delay as well. I burned Ubuntu onto a disk using my other PC (X51 i7) and followed the instructions. I have been a long time fan of Alienware but this is pretty unacceptable. I'll see how it goes from here I guess. 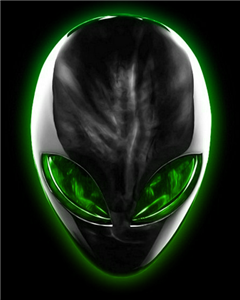 I had purchased an Alienware Area 51 laptop years ago (2004 I think) when they were not owned by dell. Ironically enough, it would BSOD immediately upon going to battery power. I had purchased the machine for a trip and was leaving in a few days time, long story short they paid for me to next day air it back, fix it and next day aired it back to me. I still use it for basic stuff. I wasn't too worried about getting another one until now. I received a "recovery disk" from Dell today. At least they are trying to fix the problem, but honestly it shouldn't have happened. I will chalk it up to being an "early adopter" of a new product line. Despite the issues I am actually impressed with the Ubuntu experience. I have not used Linux in years, I think RedHat was the big Distro at the time. It's pretty sweet, boots SOO fast in comparison to Win7. I got Netflix, XBMC and Steam all working no problem and this will make a nice HTPC. I was told the Command Center isn't available....was it available at some point? PC would connect but it did. Team Viewer was another one of the apps I got installed on it. I connected to the x51 from work and configured most everything remotely yesterday. It is a very sweet piece of software. I am pretty excited to dive into something new. I built a Hackintosh last year and honestly I wasn't impressed with OSX. It was...meh....and I didn't find it very intuitive to use coming from a Windows background. The Ubuntu interface feels very clean and intuitive. Hopefully Valve can get on the ball and at least release their games (l4d, l4d2, portal etc.) to linux for their SteamBox plan. Although Left4Dead 2 is coming out in beta for Linux supposedly this week. IF that's the case it can't be long for the rest of the Source games.